Does food really affect your skin? 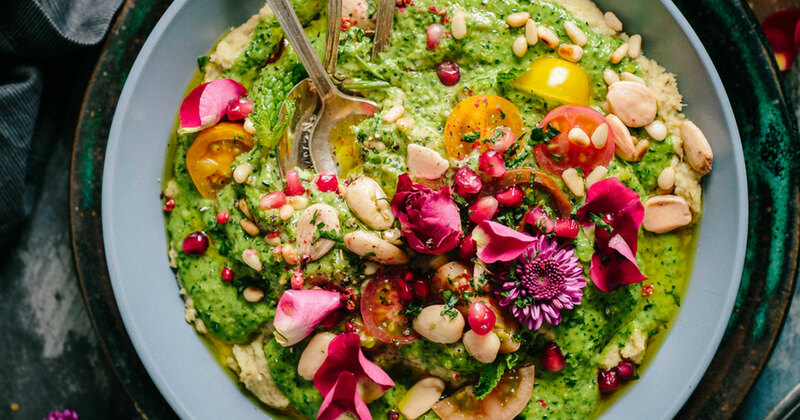 Studies show the food you eat can impact your skin and overall health in many ways, and we absolutely believe that to be true (that’s why you’ll find oodles of #beautyfood inspiration and recipes on our Instagram!) Certain foods have been proven to improve your complexion and lead to healthier looking skin… Let’s see which beauty foods top the list, and which ones we should avoid or eat in moderation for gorgeous, glowing skin. Greens: Filled with Vitamins and Antioxidants, leafy greens are a great way to get your skin glowing. Most greens are filled with folate, which helps produce and maintain skin cells. Vitamin E and C are found in most greens as well. Vitamin C is a collagen producer and will keep your skin looking firm and youthful. Vitamin E blocks free radicals, which contribute to the aging process. Check out the local farmer’s market to see what’s in season. Some favorites are curly kale, spinach, arugula, swiss chard and romaine lettuce. Water: Drinking more water always tops the list of resolutions. It’s something we all strive for… But are you drinking enough? Water is beneficial to the skin and the body. Our skin cells are made up of 64% water, and daily it’s evaporated through our skin via trans-epidermal water loss. We must regularly replenish moisture to our cells to keep skin dewy. Plus, drinking more water increases blood flow to the skin, which can benefit collagen production and cellular renewal. Stay hydrated in style with our eco-kind reusable Beauty Bungalow water bottles. Sugar: Refined sugars can be found in all sorts of cakes, snacks, and drinks… Even seemingly healthy foods like packaged salad dressing and pasta sauce are often filled with sugar! These cause your insulin to spike and leads to internal inflammation which over time breaks down collagen and elastin. Excess sugar intake can also cause your body to produce too much sebum leading to more breakouts. Hydrogenated Oils: These oils are thought to cause inflammation as well, leading to redness, acne, and loss of elasticity. Hydrogenated oils are found in baked goods, fried foods, margarines, and processed snacks. There are some fats that are beneficial to your skin, such as those found in avocados, nuts, fish, and chia seeds. Steer clear of hydrogenated oils and other trans fats. What’s not to love about our new Nano-Infusion facial treatment? But can your eye cream do this…? How Environ Vita Peptide Eye Gel keeps your eyes bright.